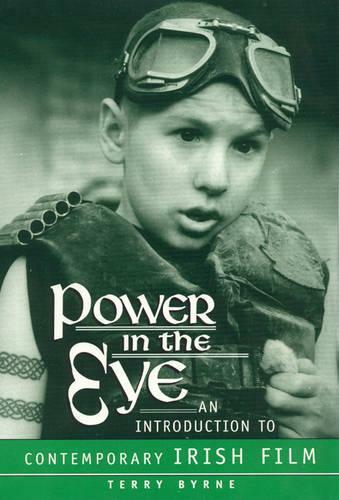 The use of Irish settings in mainstream Hollywood cinema has been well documented; Terry Byrne's objective in Power in the Eye is to explore indigenous Irish film production that addresses itself primarily to a native Irish audience and to analyze the social impact of the films on modern Irish society. This is no easy task, as the book makes clear. Historically denied access to mainstream production funds and distribution systems, the work of these indigenous Irish filmmakers has (with two or three notable exceptions) been relegated to Irish and European art-house cinemas and to European television channels. The book addresses mainly the work of these filmmakers, in the hope that the stimulation of interest outside Ireland will encourage interested students of cinema to seek them out. In that context, Power in the Eye should serve as a guidebook-a launching-point from which to begin a search for these films and the subsequent work of their makers. In addition to internationally-known Irish filmmakers (Neil Jordan, Jim Sheridan, Pat O'Connor), the book focuses on the works and opinions of Joe Comerford, Cathal Black, John T. Davis, Thaddeus O'Sullivan, Gerry Stembridge, Kieran Hickey, Bob Quinn, Pat Murphy, and many others. It also deals with the social, economic, and political issues surrounding the production of films for the Irish market and those which would speak to the world on behalf of the Irish. Funding, censorship, and the definition of Irish culture are all wound up in these issues and brought to bear quite strongly in the making of films about the Irish. Power in the Eye addresses these issues and aims to stimulate the reader to pursue them further and to equip them to begin that pursuit.